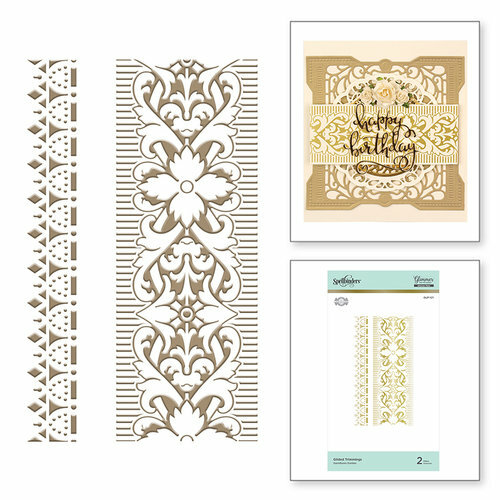 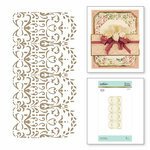 Create a beautifully foiled card that they'll treasure with the Trimmings Glimmer Plate Set designed by Becca Feeken for The Gilded Age Collection by Spellbinders. 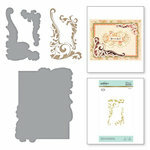 There are 2 plates included that measure .675" x 4.75" and 1.75" x 4.75" and are for use with the Spellbinders Glimmer Hot Foil System or other compatible hot foil systems, sold separately. 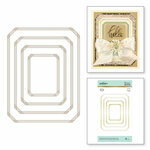 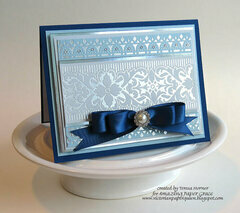 Featured in the set is a 2" border and a 1/2" border. 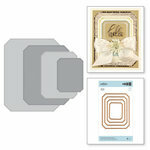 .675" x 4.75" and 1.75" x 4.75"